North Carolina Highway Patrol has found that 16 year old Taylor Clark was texting when she caused a head-on collision, killing 17 year old passenger, Seth Beaver. Clark has been charged with misdemeanor death by a motor vehicle, failing to yield, and texting while driving. It has been illegal for drivers in North Carolina under the age of 18 to use a cell phone while driving since 2006, and for any driver to text while driving since December 1, 2009, but drivers such as Clark continue to ignore this law. In fact, a study by the Insurance Institute for Highway Safety has reported that even though North Carolina bans cell phone use by drivers under 18 years of age, cell phone use by this group actually increased since the law went into effect. There are currently three bills pending in North Carolina, all aimed at curtailing the use of cell phones by all drivers. If passed, House Bill 31 will make it illegal to use a cell phone while driving, and House Bill 44, would allow use of hands free devices only. Senate Bill 36 is nearly identical to House Bill 31. If passed, these laws will go into effect on December 1, 2011. Our experienced car accident attorneys encourage you to talk to your teen. Reinforce the rules. Sit down with your child and watch “Faces of Distracted Driving”. Real stories, about real teens, who paid the ultimate price when someone was texting while driving. Early Tuesday morning, Mount Holly Police arrested 24 year old Tracy Ellett who had her 2 and 5 year old children in the car, for Driving While Impaired. Ellett failed a field sobriety test and was found to have bloodshot eyes, was unsteady on her feet, and had an odor of alcohol. Ellett, however, refused to take a breathalyzer test. Shortly thereafter, a court order was issued authorizing a forced blood sample to determine Ellett’s level of intoxication. Ellett has subsequently been charged with 2 counts of Contributing to the Deliquency of a Minor, and is being held on $20,000 bond. The next day, another mother, Kalie Leann Nickels, also known as Trista Ann Nickels, was arrested for Driving While Impaired, and her 2 year old child was in the car. Taylorsville Police pulled Nickels over after receiving reports of a pickup truck almost hitting a school bus head-on. During the traffic stop, the officer noticed that the 2 year olds car seat was not properly installed. When the officer attempted to properly position the car seat, he discovered a large bottle containing 83 Dilaudid pills, and another large bottle containing 27 Xanax pills. Nickels 2 year old child is in the custody of the Department of Social Services, and Nickels, who was wanted by the US Marshal’s Service in Florida on indictments for Conspiracy to Possess with Intent to Distribute Methamphetamine, has also been charged with Possession of a Schedule II Controlled Substance and Possession of a Schedule IV Controlled Substance. She is being held on $5,000 bond. Our experienced car accident lawyers have repeatedly written that Laura’s Law does not go far enough to punish DWI offenders. We have written several times about New York’s “Leandra’s Law” which provides far stiffer penalties than Laura’s Law. Leandra’s Law, also known as the Child Passenger Protection Act, was named for 11 year-old Leandra Rosado, a passenger in a vehicle operated by a drunk family friend, who was killed in a serious crash. The driver of that vehicle, Carmen Huertas, was sentenced to 4 to 12 years in prison.Leandra’s Law requires all drivers, regardless of the classification of DWI charge, to install, at their own expense, an ignition interlock device. In addition, anyone who had a child under the age of 16 years in the car at the time of the offense will be charged with a felony, punishable by up to 4 years in prison. If the drunk driver causes serious injury to the child passenger, the punishment goes up to 15 years in prison, and up to 25 years if they cause the death of a child passenger. Is Leandra’s Law working? YES! According to New York’s Division of Criminal Justice, 70% of drivers convicted under the law were convicted of felonies, and more than 40% did at least some jail time. North Carolina’s Laura’ Law is long overdue, but just does not go far enough to punish drunk drivers. An inspector for South Carolina’s Department of Labor, Licensing and Regulation (LLR) has admitted to investigators that he falsified the annual inspection report for an amusement park train ride that overturned Saturday, killing 6 year old Benjamin Easley and injuring two dozen others. Donnie Carrigan, who has since resigned from LLR, said he issued a clean inspection report despite being unable to actually test the train due to a dead battery. Despite the falsified inspection, perhaps the blame for this tragic accident really lies with the driver of the train, Matthew Conrad. Conrad told police that he was going too fast and that “he knew better than to drive the train that fast.” He also admitted that he drove faster on his second lap and that he “opened it up” on the final lap. Police say that William David Watson was drunk when he caused a Hickory car accident injuring 5 people. According to the driver of the other vehicle, Watson was seen swerving just prior to the crash, so he took evasive action and pulled to the side of the road, but was still hit head-on by Watson. Watson, who has been charged with Driving While Impaired, Carrying a Concealed Weapon, and Possession of a Stolen Firearm, is no stranger to the criminal courts. As a teen, he was convicted twice for possession of marijuana and once for underage possession of alcohol. His troubles with the law continued into his 20’s and 30’s, with more drug convictions, and 2 charges but not convictions, for Driving While Impaired. He is currently awaiting trial for a speeding charge and a charge for hit and run and leaving the scene of an accident. The victims of this accident were treated and released from Frye Regional Medical Center. These victims will be entitled to recover damages for their injuries, as well as punitive damages, as Watson was charged with Driving While Impaired. An experienced car accident attorney can recover damages from the responsible party for a victims injuries. Members of Corinth Baptist Church in Gaffney headed to county-owned Cleveland Park on Saturday to participate in a children’s day event. What was supposed to be a fun-filled family event turned tragic when a miniature train overturned, killing a 6 year-old boy, and injuring 25 others. Killed in the crash was Benjamin “Benji” Easler, son of Pastor Dwight Easler, who was injured in the wreck along with his two older sons, who suffered broken bones and facial scarring. According to Spartanburg County Councilman David Britt, South Carolina State officials had inspected the ride and had conducted several test runs, just 3 days before the park opened for the season on Saturday. The ride had been operating for about an hour on opening day when the train’s track collapsed, causing it to derail and overturn. As the result of this tragedy, South Carolina’s Department of Labor, Licensing, and Regulation, the agency who actually conducted the safety inspection of this ride, has suspended the operation of statewide amusement park trains. The Consumer Product Safety Commission(CPSC) has found that from 1993 to 2000, the risk of injury on a fixed-site amusement park ride increased from 15.3 injuries per million attendance, to 20.8 injuries per million attendance. In spite of the increase in amusement ride injuries, Congress has refused to give the CPSC jurisdiction to investigate accidents at amusement parks. An amusement park can be held responsible for injuries due to negligence, product liability, and premises liability. Police have identified 18 year-old Chahid Omar Solamen as the driver in a one car accident in Greenville, North Carolina that left one person dead, and three hospitalized. An unknown fifth person walked away from the wreckage. Solamen has been charged with Driving While Impaired, and more charges will likely follow due to the death of one of the passengers. At least three of the passengers were not wearing seatbelts and were ejected from the vehicle. In 2009, over 45,000 drivers were involved in fatal car accidents and more than 10,000, or 22%, had a blood alcohol levels above .08. Of those drunk drivers, 35% were between the ages 21-24, 32% between the ages 25-34, and 19% between the ages 16-20. Those not even old enough to drink legally were responsible for 19% of drivers in drunk driving fatal accidents. Until people get the message that it is not OK to drink and drive, these statistics will not decrease. As for the passengers in Mr. Solamen’s vehicle, if they knew or should have known that Solamen was under the influence of alcohol, it can prevent them from recovering damages. 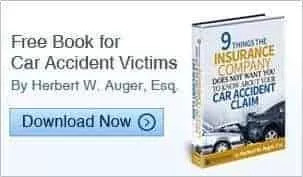 For more information, contact an experienced car accident attorney. On March 15, our North Carolina car accident lawyers reported to you about a tragic fatal accident in which the unidentified driver of a pickup truck crashed into the rear of a tractor trailer truck parked off the side of I85. We now know that Hipolito Torres Galicia has been charged with Driving While Impaired, and 2 counts of Felony Death by Vehicle. His immigration status has not been released. Our North Carolina car accident attorneys recently reported to you about a fatal accident involving a high speed motorcycle accident colliding with an SUV making a U-turn, Turns out the supposed driver of the SUV, Gloria Escobar, lied to police. According to Matthews police, Escobar’s husband, Alfredo Luna Morales, who is in the country illegally, was the real driver in the accident that killed motorcyclists Craig Anderson and his passenger, Tiffany Johnson. Morales has been charged with Resisting a Public Officer by Obstructing or Delaying Investigation and No Operator’s License. He is being held in Mecklenburg County Jail due to his immigration status. Two passengers in a pickup truck died yesterday in a fatal crash in Charlotte, North Carolina. Three others were transported to Carolinas Medical Center, likely with life-threatening injuries. North Carolina Highway Patrol has not released the identity of any of the victims. A tractor-trailer truck was parked on the side of I85 early Monday afternoon. Photographs of the accident scene clearly show the truck on the gravel shoulder, not in a travel lane. An eyewitness advised Troopers that he observed the pickup trup swerve suddenly to the right, crashing into, and under the parked tractor trailer. The question on everyone’s mind is why did the driver of the pickup truck suddenly veer into the parked tractor trailer. Troopers intend to test the driver of the pickup for alcohol, and to interview him to determine the reason for his departure from the roadway. The driver of a tour bus involved in a deadly crash on I95 in New York City is now under federal investigation. Ophadell Williams was driving a tour bus with 31 passengers, from casinos in Connecticut back to Chinatown in Manhattan when he crashed, killing 15 people, and injuring the rest. Williams told investigating officers that his bus had been clipped by a tractor trailer tuck, causing him to swerve to the right, sideswipe a guardrail for 300 feet, and ultimately crash into a support pole for a highway sign which sheared through the bus, tearing the roof off. But passengers are telling a different story, prompting an investigation by the National Transportation Safety Board (NTSB). An investigating officer, speaking to reporters on condition of anonymity, stated that passengers aboard the bus noted that the driver had swerved several times prior to the crash, and further, they did not feel any impact before the crash. This officer also interviewed other drivers on I95 at the time of the crash and no one saw the bus get hit. He also reported that the driver had an incomplete log book, something that is required for commercial drivers. Another source said Williams was speeding. Although federal rules do not prevent those with a criminal record from being issued a bus license, there are rules that prevent a convicted felon from holding a commercial drivers license. Federal investigators have learned that Williams is a convicted felon, having served 2 prison terms, one for manslaughter, and one for grand larceny, and the he used aliases at the time of his convictions. In addition to digging deeper into Williams criminal background and use of aliases, investigators will also be reviewing surveillance tapes from the casinos to determine whether Williams consumed alcohol prior to the crash, and to see what he was doing in the hours that lead up to the crash. The engine-control module, similar to a black-box on a plane, has been sent to Washington, DC for downloading at the NTSB lab. Investigators will also try to determine whether Williams simply fell asleep while driving. Williams employer, World Wide Tours of Greater New York, is no stranger to driver fatigue issues. The Federal Motor Carrier Safety Administration has put World Wide Tours on notice of potential extra scrutiny for violations of driver fatigue regulations due to 2 prior accidents involving injury in the last 2 years. Police have already confirmed that Williams logbook was incomplete. According to the National Traffic Highway Safety Administration (NHTSA), approximately 56,000 accidents occur each year due to driver fatigue, resulting in 40,000 injuries, and 1,500 fatalities. NHTSA has identified several characteristics of fatigue related accidents: accident occurs late at night, early morning, or midafternoon; the wreck is serious, a single vehicle leaves the roadway, the wreck happens on a road with a high speed limit, and the driver does not try to prevent crashing. Unfortunately, there are no tests to determine how tired a driver is. An experienced injury attorney can conduct a proper investigation into driver fatigue, particularly those required to mainain driving logs.